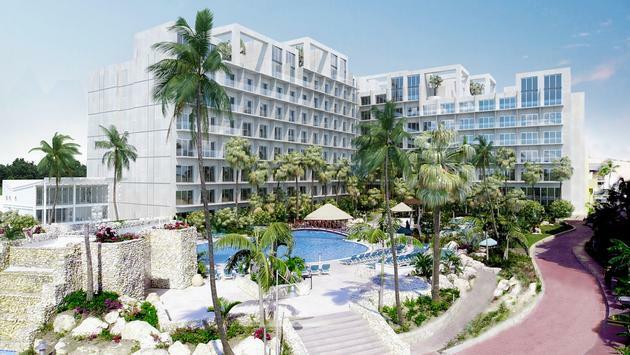 In time for the upcoming holiday and winter season, both the limitless, all-inclusive, adults-only Sonesta Ocean Point Resort and the family-friendly Sonesta Maho Beach Resort, Casino & Spa are currently completing renovations and on target for their scheduled re-openings December 15, 2018, and February 1, 2019, respectively. The resorts return Stronger & Brand New as St. Maarten makes its big comeback welcoming visitors from all over the world who have been patient and supportive as the destination recovers after Hurricane Irma last year. To make booking a vacation to St. Maarten even more enticing, Sonesta Resorts St. Maarten is extending its pre-opening special of up to 45 percent off rates for bookings now through December 15, 2018, for travel through December 20, 2019. Sonesta Ocean Point rates start at $229 per person, all-inclusive for a Junior Suite, and at Sonesta Maho Resort, rates start at $132 per person, all-inclusive in a Superior Room, both based on double occupancy. Use promo code: PREOPENING when booking. Guests will be wowed by the resorts’ new upgrades, amenities and fresh contemporary look. Along with all the exciting new features, Sonesta Resorts St. Maarten has taken every measure to implement the latest architectural innovations and storm-resistant materials in the renovation, ensuring the future security and well being of its properties, staff and guests. Sonesta Maho Beach Resort, Casino & Spa is being updated with a new contemporary design reflecting a clean, airy aesthetic throughout the entire resort including public spaces, restaurants and guest rooms, but is keeping its signature family-friendly charms offering an array of restaurants and bars, Kids Club and Teen Zone and fun daily activities. Guestrooms have a thoughtful new, modern layout, creating more comfort and better usage of the interior space, including larger bathrooms allowing in natural light. New furniture includes ultra comfortable bedding and European standard mattresses, with wood-based bedframes made from sustainably harvested forests, under the Forest Certification Encouragement Program. In addition, a new category room debuts, The Loft Suites, featuring ocean views, balconies, an elevated bedroom with a king bed and a living room located beneath with sitting area and a pull out sofa, perfect for couples or families. Sonesta Ocean Point Resort’s much-loved modern Caribbean design in the guestrooms and public spaces remains the same, while the lobby was entirely redesigned with an updated contemporary style. The new Casa Blue, a Spanish-style tapas restaurant, will launch this season on the rooftop terrace above Azul Restaurant. Maho Village, the shopping and nightlife promenade located just steps outside the resorts, along with Casino Royale, the largest gaming emporium on St. Maarten, received a transformation and a modern new look as well. Casino Royale, which recently had its soft opening will continue to offer over 21,000 square-feet of gaming and entertainment with the biggest theater in the region and will debut two new alfresco restaurants and a new outdoor bar and lounge overlooking the main street of Maho Village. For more information and reservations, please visit sonesta.com/stmaarten or call 1-800-SONESTA (766.3782).